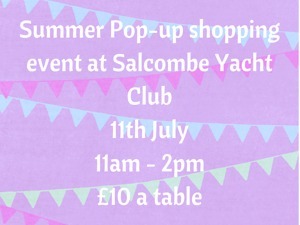 We are hosting a Pop-up shopping event at SYC during Merlin Rocket week in July. 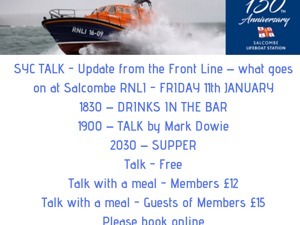 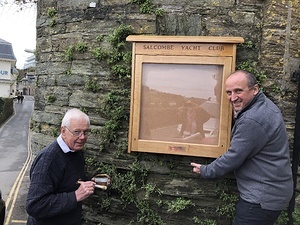 If you are a local business wishing to book a table to sell your goods please contact Jules@salcombeyc.org.uk Tables are going fast! 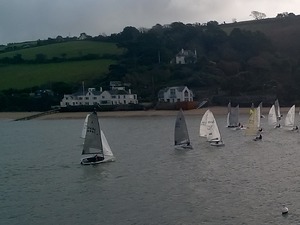 Drying out and lunching at The Cherub in Dartmouth after an enjoyable but rather wet walk along the coast. 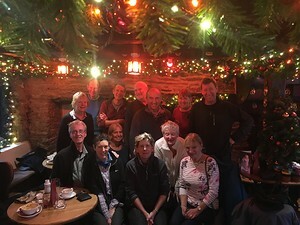 Thanks to Tony and Trudy Rowe for organising another good get together.